The owner of the Buffalo Sabres has written a letter to season ticket holders, noting the team's last-place finish this past hockey season. 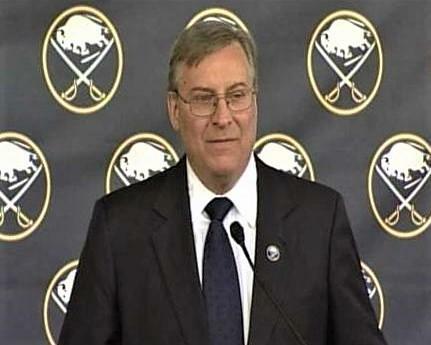 Terry Pegula expressed his disappointment and told recipients that season ticket prices will not be rising for the upcoming season. He expressed his thanks for fan loyalty during a difficult season, and wrote "you deserve better." At the same time, Pegula expressed his optimism for the future, noting players in all levels of the organization that bode well for the future. He challenged everyone in the organization, including himself, to be better. Ticket prices have risen about five percent per year during the ownership tenure of Pegula, dating back to 2011. This marks the seventh consecutive season the Sabres have missed the playoffs. Photo from Bill Hoppe's Twitter feed. 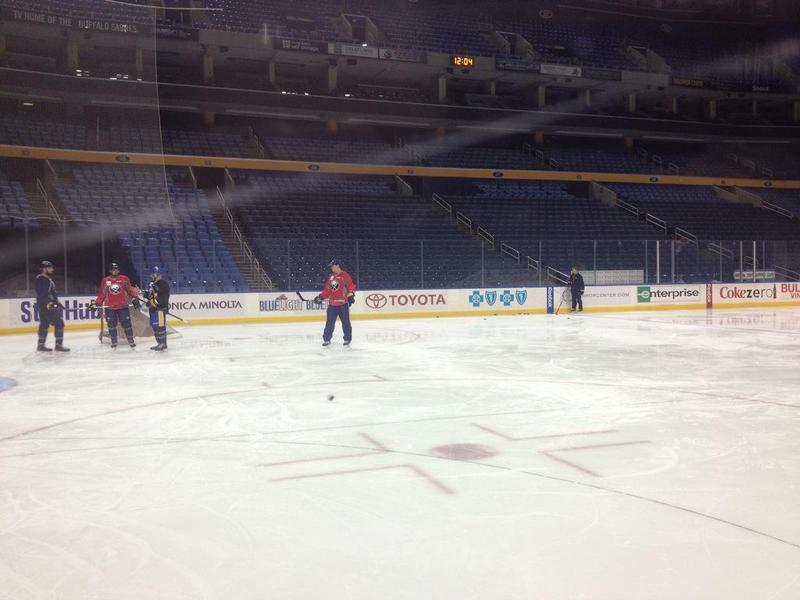 Two of the worst teams in the National Hockey League play in Buffalo Thursday night. The Sabres take on Arizona at First Niagara Center. In this week's edition of Behind the Bench, Sabres beat reporter Bill Hoppe tells WBFO's Eileen Buckley it should be an interesting matchup.